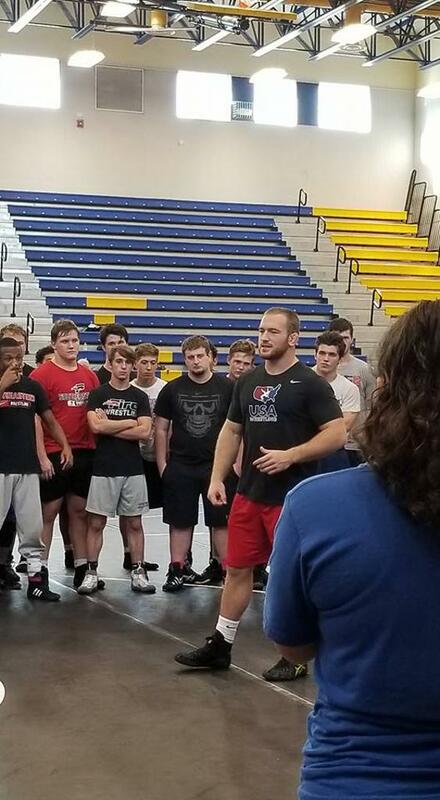 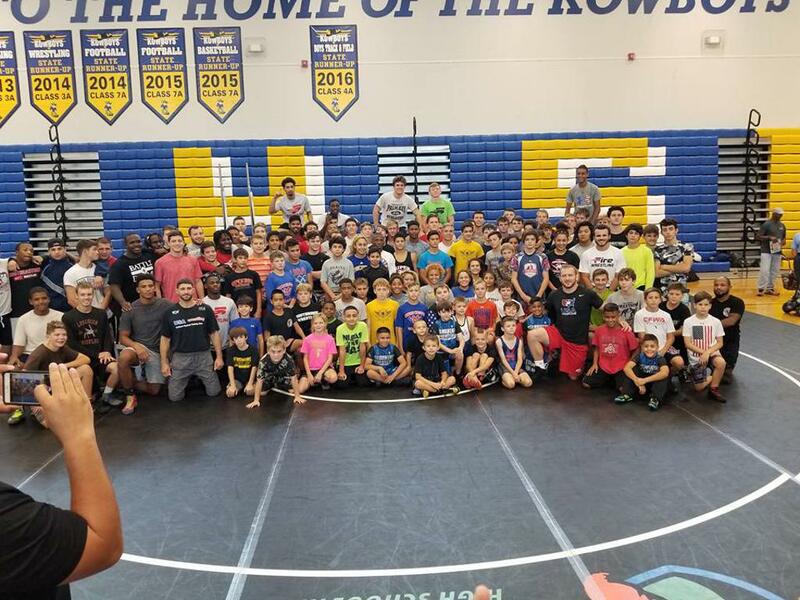 Some of the 190 wrestlers from Florida who competed in the 2018 USA Wrestling Southeast Regions in Atlanta. 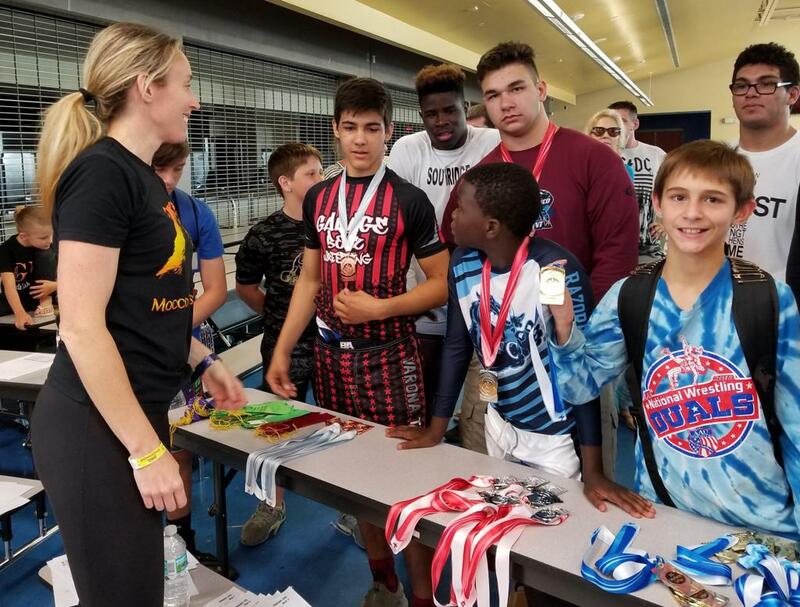 Thanks to Kate Mocco for posting the photo! 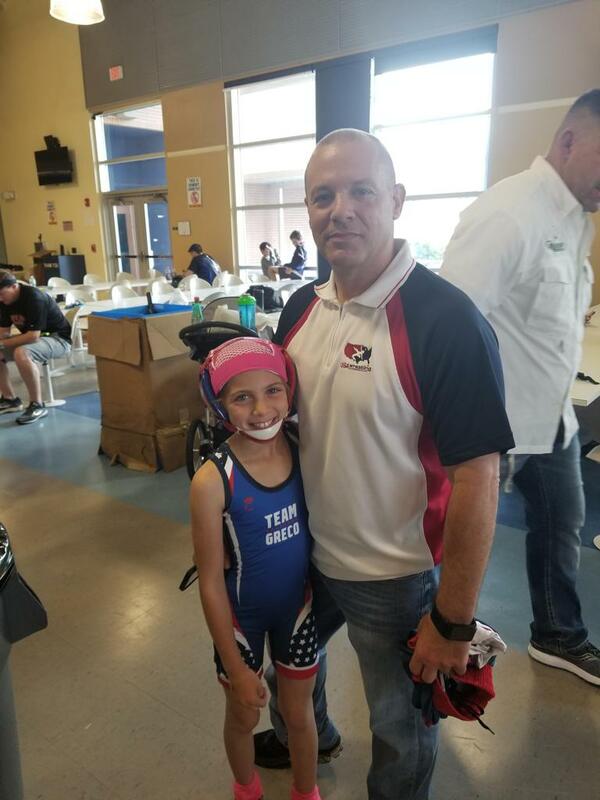 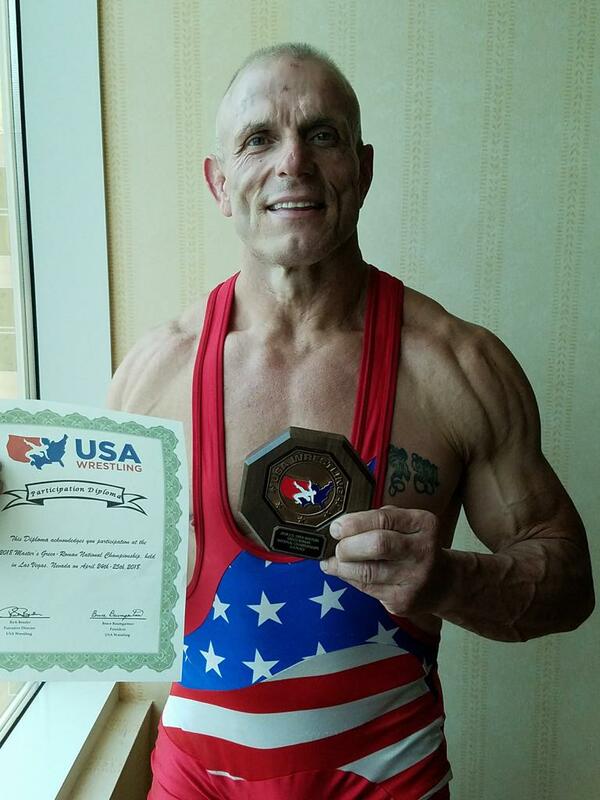 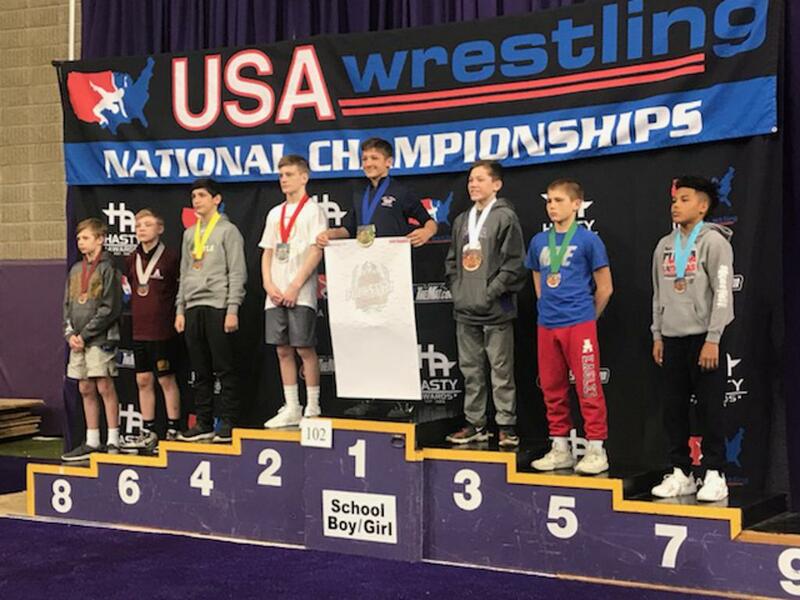 Brennan Van Hoecke wins Schoolboy National Title at 102-pound at USA Wrestling Folkstyle Nationals. 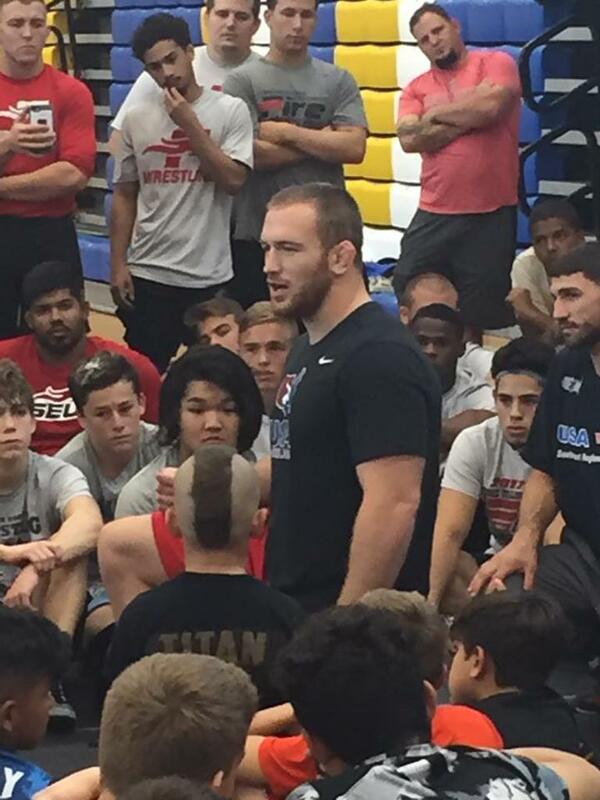 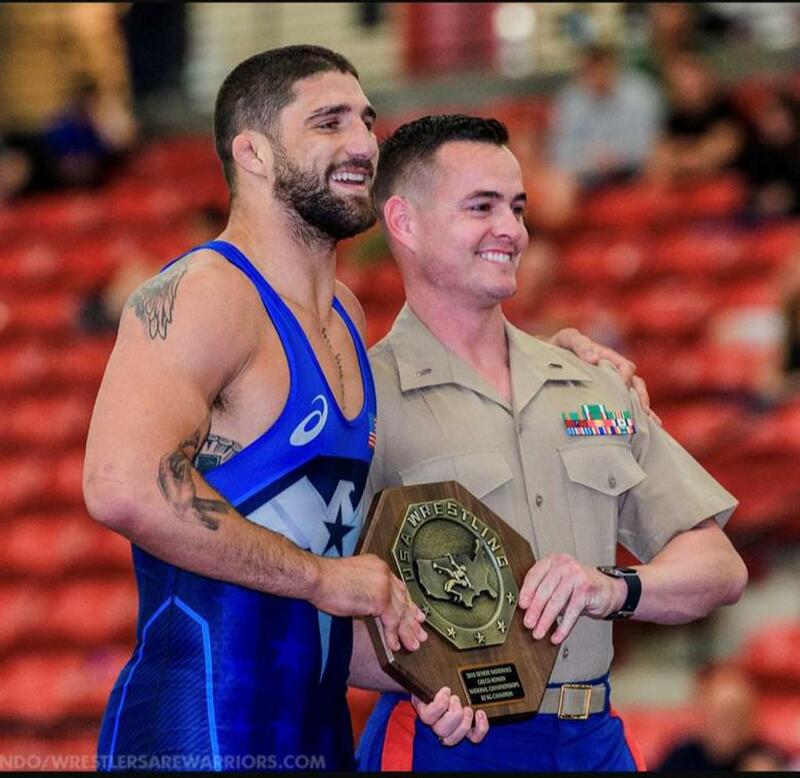 He was also voted Outstanding Schoolboy Wrestler. 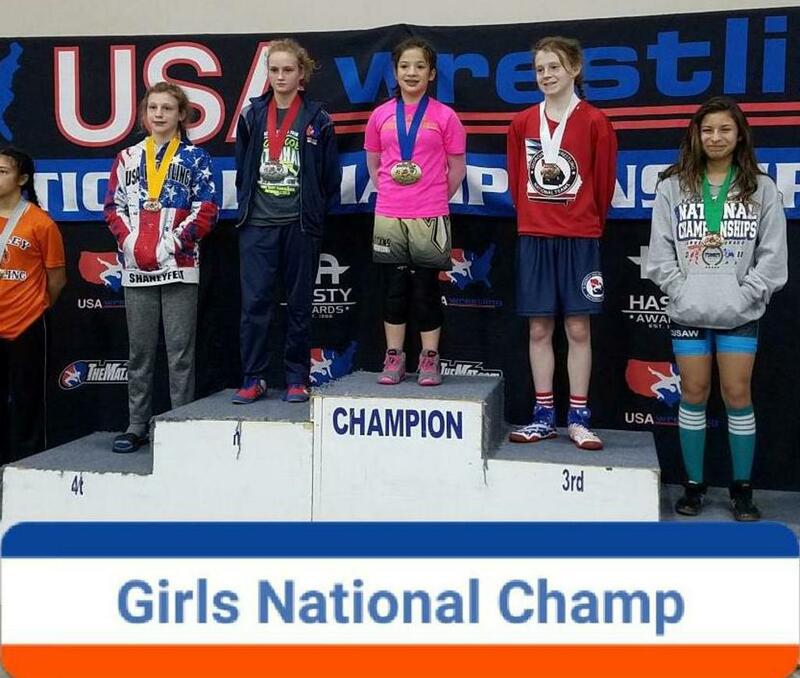 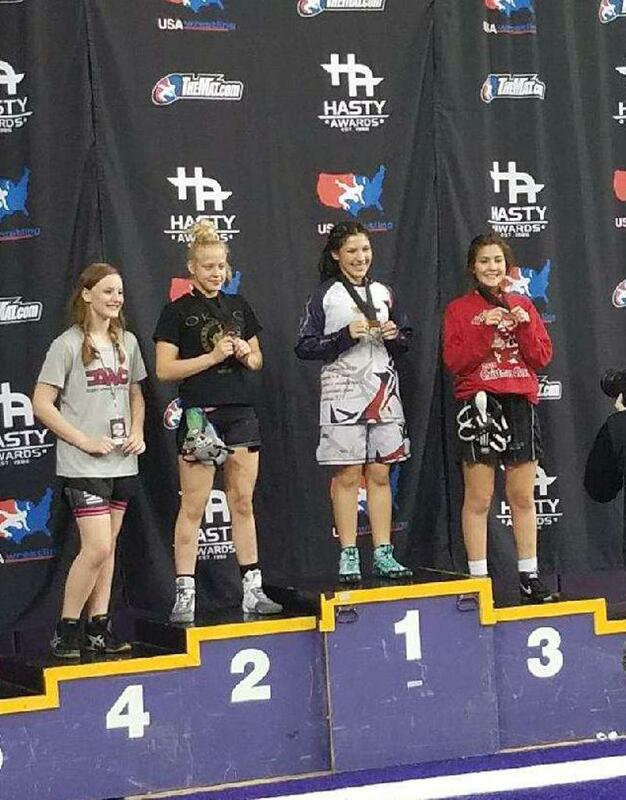 Madison Diaz stands atop the podium after winning her Girls Division title in Iowa. 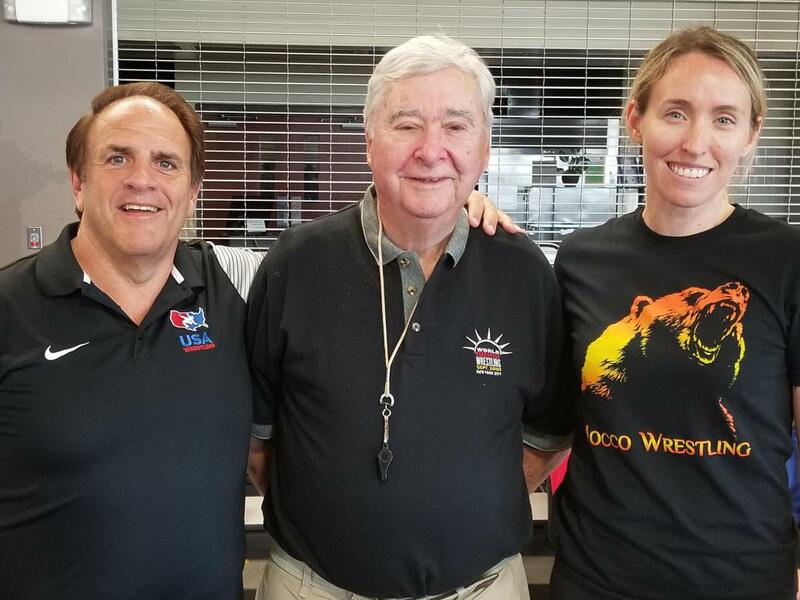 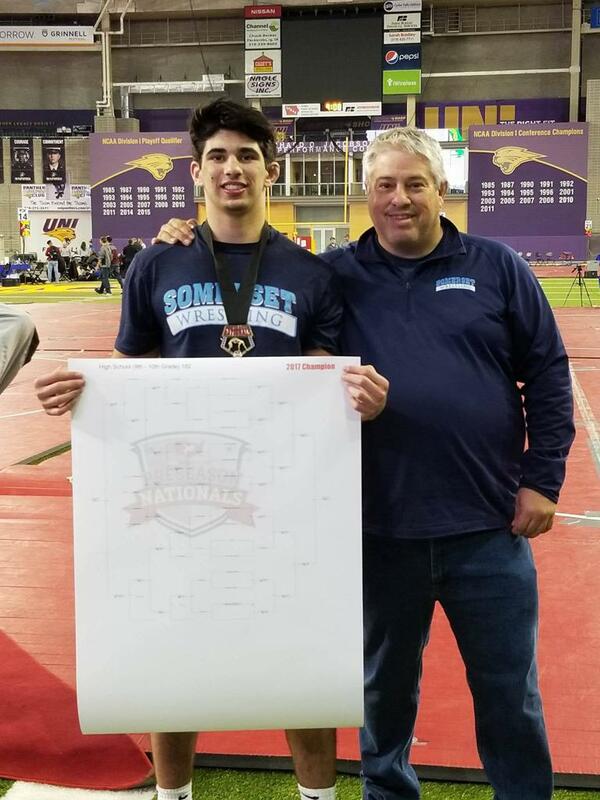 Nicholas Benton with his coach Joe Blasucci after winning a National Championship at the USA Wrestling Preseason Nationals in Cedar Falls, Iowa.